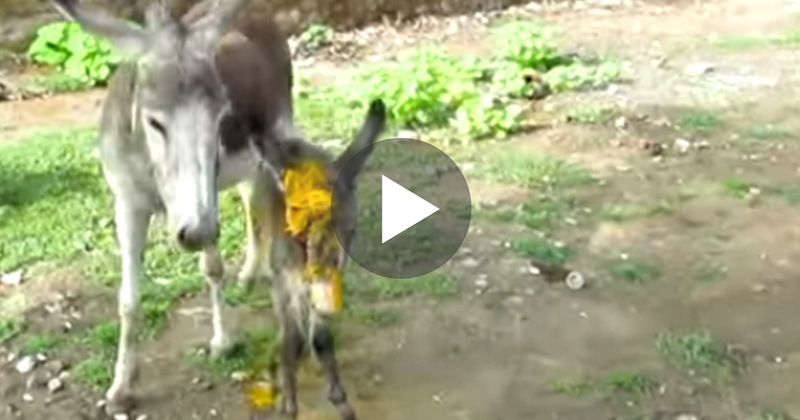 Donkey crying out for people to help her Injured Baby… Now watch when her request is answered! This adorably sweet little baby donkey was ambushed and then attacked by some wild animals… If you look closely you’ll notice that she had many bad wounds that could have cost her life, but that’s when mother started crying out for help! The poor donkey almost gave up on life, but thankfully her mothers cries were heard and someone called for help… The loud groans were heard just in the nick of town and Animal Aid India was called and rushed to help her! Just watch moms amazing reaction as her baby is cared for and rescued!… Watch The Video!